The aim of this paper is to examine the relationship between self-reported work ability and long-term term of sickness absence or early retirement from the labour market. Data on work ability were retrieved from a representative cohort study of Danish wage earners and linked with a register of social payment transfers. In all, 4.743 individuals were followed from 2001 to 2005. Cox regression was used for the analyses. 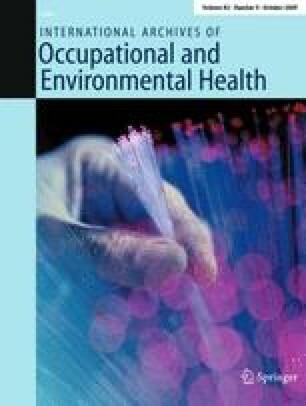 A one point decrease in perceived work ability, on a 10 point scale, was associated with an increased risk of long-term sickness absence (LTSA) of 15.1% (95% CI 12–19%, P < 0.0001) and an increased risk of early retirement from the labour market of 33% (95% CI 20–48%, P < 0.0001). Reports of reduced work ability were significantly associated with both an increased risk of onset of LTSA and early retirement from the labour market, after adjustment for socio-demographic characteristics and lifestyle variables. We would like to thank Thomas Lund, Senior researcher, PhD in medical science, The Danish National Centre for Social Research, Herluf Trolles Gade 11, DK-1052 Copenhagen, for his pioneering work on the DWECS and DREAM-database. The study was supported by a grant from the Danish Working Environment Research Foundation and elaborated within the finale program for prevention of reduced work ability. Monthly wages after tax in 1,000 kr.